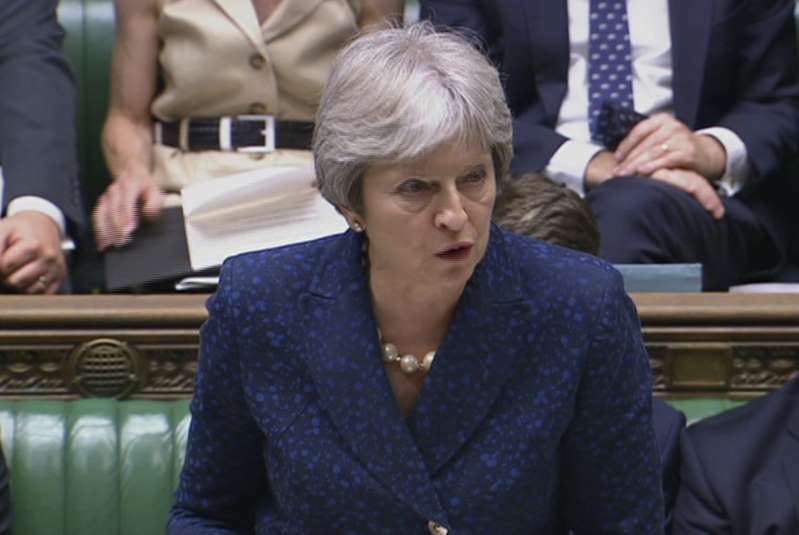 © The Associated Press In this image from TV, Britain's Prime Minister Theresa May speaks in the parliament on July 9, 2018. [post_ads]The British government has released proposals for what it calls a "principled, pragmatic and ambitious" Brexit — plans that have already triggered the resignation of two top ministers and face likely resistance from the European Union. The long-awaited document published Thursday aims to keep Britain and the bloc in a free market for goods, with a looser relationship for services. But the plan has infuriated fervent Brexit supporters in Prime Minister Theresa May's Conservative Party, who think it would limit Britain's ability to strike new trade deals around the world. Foreign Secretary Boris Johnson and Brexit Secretary David Davis both quit the government this week in protest.